Mothers treat their family with love and care. Now it’s time for the family to give a little care back to mom! 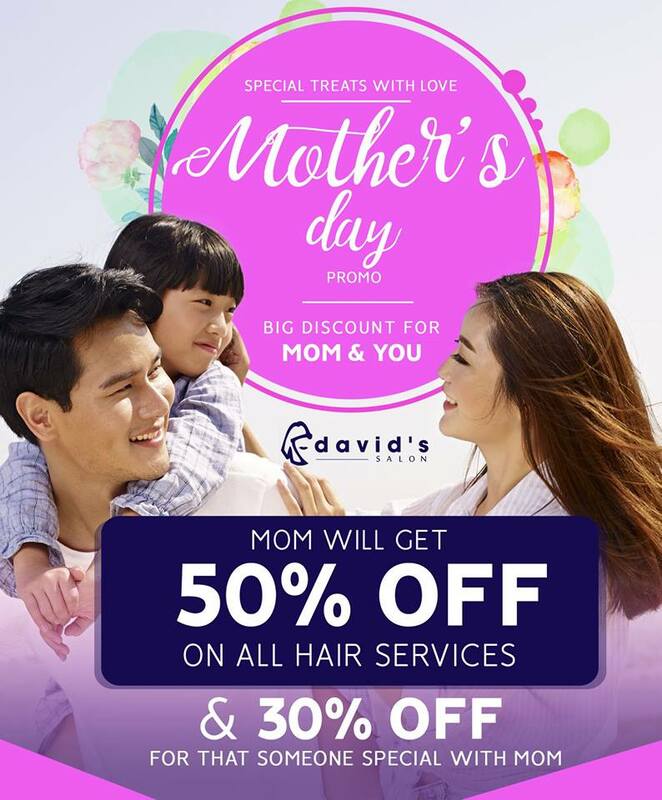 Give the most important lady in your life the pampering she deserves with David's Salon's Mother's Day Promo! Mom gets 50% off on all hair services, and her companion gets 30% off! Valid on May 13, 2018 only in all participating David's Salon branches.